They’re unsightly and painful, and when they get infected they are a follicle disaster. You’ve no doubt heard of them; ingrown hairs, and they must be stopped. The good news is they can be, sort of. What is an ingrown hair? It’s quite simply a hair that grows back into the skin. Forming a curl, the ingrown hair often grows sideways instead of upward, causing skin irritation. While many ingrown hairs clear up on their own, sometimes the pain (and unsightly appearance) is too much to handle. And the problem is far worse when they get infected. A simple solution for preventing ingrown hairs is to allow some regrowth in between shaves. However, if you’re a clean-shaven guy, that’s an impossible feat, especially when the 5 o’clock shadow rolls around. We consulted a professional, Sarah Naviwala, PA-C of Gables Skin Center in Coral Gables, Florida, who broke down the science of the ingrown hair. Ingrown hairs are caused by a curved hair follicle, which produces tightly curled hair—causing the hair to reenter the skin once the hair is cut and starts to grow back. A curved hair follicle may be produced secondary to tweezing, dry shaving, or shaving while pulling the skin tightly. When hair enters your skin, it has a foreign body effect, causing inflammation at the site. Where are ingrown hairs located on men? Typically in areas where they shave most often: the face and neck. The only proven way to stop ingrown hairs is to stop shaving/tweezing altogether. There are options like laser hair removal or topical creams like Vaniqa which permanently decrease hair regrowth. But since that is not an option for most, it is recommended to take some precautions before and after shaving to help decrease the likelihood of ingrown hairs. Always wash the face using a cleanser before shaving. Use a cream or gel to lubricate the area, and do not hold skin tightly. Always shave in the direction of growth. Rinse after each stroke and apply moisturizer once finished. What is the most effective way to remove ingrown hairs? The most effective way is with a sterile needle and tweezers. Just use a needle to create a small opening, and the tweezers to pull the hair out. A blackhead removal tool can be used to get under the loop of hair and free it from the skin, but it’s usually not recommended. We also recommend using a toothbrush or a Clarisonic-type tool to help exfoliate the problematic areas daily. When do ingrown hairs require a dermatologist visit? Recurrent ingrown hairs with secondary scarring or signs of infection (pus, pain) require a visit to the dermatologist. The dermatologist can prescribe a variety of creams including retinoids (to exfoliate), topical/oral antibiotics (to drain any bacteria), and topical steroids (for inflammation at the site). The dermatologist can also offer laser hair removal, as a strong treatment option if that is something the patient would consider. 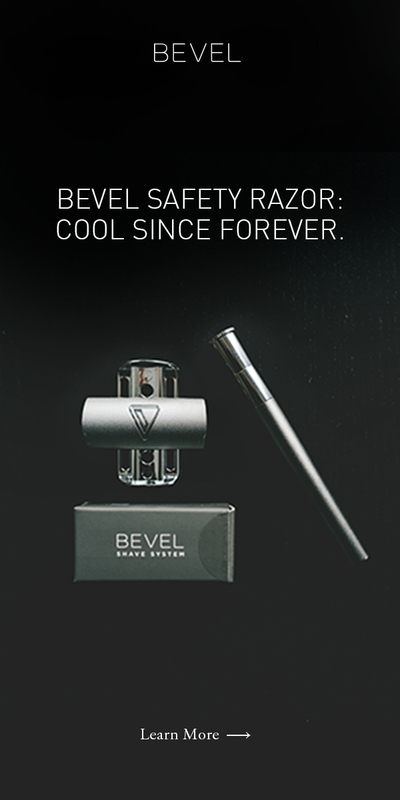 To get the smoothness we all know you deserve, think of making the final switch to a single blade razor. 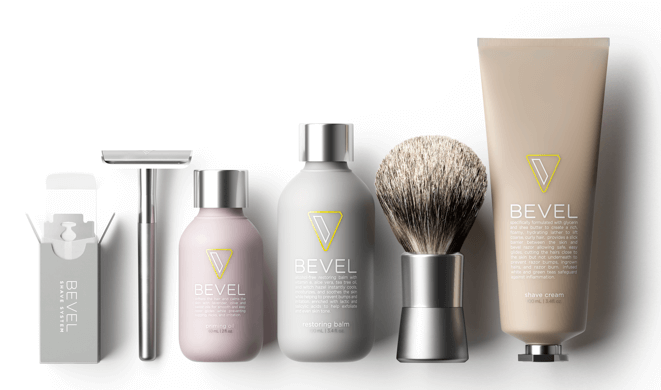 With skin that’s a lot more sensitive and prone to breakouts and razor burn, less pulling and tugging during the shaving process can ease the onset of ingrown hairs. Bevel does the job of not only cutting coarse, curly at the surface, but when used correctly [learn how to map your grain first! ], you can see significant improvement in skin over time. The key takeaway is always the right dose of patience & a smart game plan!